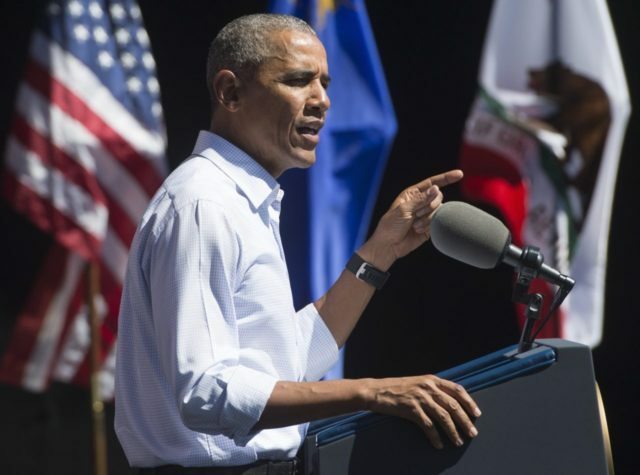 The president was addressing the 20th Lake Tahoe summit, along with leading Democratic legislators from across the region. Obama asserted that climate change is “manmade,” as a matter of dogma: “It’s not ‘I’m not a scientist, so I don’t know.’ You don’t have to be a scientist. You have to read or listen to scientists,” he said. He then conflated anthropogenic climate change, which is a theory of how burning fossil fuels may raise overall global surface temperatures, with ordinary environmental conservation, which refers to protecting a specific resource from overuse or pollution from identifiable, proximate causes. “So conservation is critical not just for one particular spot … We embrace conservation because healthy and diverse lands and waters help us build resilience to climate change,” the president claimed. “[B]ecause climate and conservation are challenges that go hand in hand, our conservation mission is more urgent than ever,” the president said, building up to a case for more money to be spent on Lake Tahoe, on top of $2 billion already spent on it. He touted his administration’s environmental policies — including the unconstitutional Clean Power Plan, which threatens the coal industry — and talked up the Paris climate change agreement, which was designed to evade a Senate ratification vote. The reason carbon “pollution” (a misleading term, since carbon dioxide is not toxic) began falling, before Obama took office, is because of a switch to natural gas, largely through fracking — often over the objections of Democrats and the federal government.